Having professionally trained clients for the past 7 years, I always receive the same misconception about shredding or in other words, losing weight. & that misconception is this..
“I have to eat boring meals for 8 weeks straight in order to get the body I want”. My answer? You have it all wrong! Well partially. Truth is that you can definitely shred tons of weight by eating the same meal everyday and by tailoring your calories. That’s super boring! I mean how do you live life by eating the same boring meals every day? Live a little is what I always say. The point is that you can eat whatever you want, you just need to know how much of it. It’s that simple. How do you know how much? You need to know your TDEE and Calorie deficit. If you don’t know these numbers you’re pretty much playing a guessing game, the process of losing weight is longer, and your efforts aren’t as accurate. Why waste your time guessing? I honestly wished someone would have slapped me with this information when I first started my fitness journey. My efforts would have been streamlined. But hey, my mistake allows you to learn faster than I would have 10 years ago. If you’re interested in streamlining your weight loss efforts by learning TDEE and Calorie deficit, then I would recommend checking the Ebook, Macros. In this book you’ll calculate your own calorie deficit and finally eat the foods that you LOVE. Let’s keep it going with some more misconceptions. Yes you can call it a day, but you’re not going to get anywhere with losing weight. Here’s the thing about fat loss pills, they assist your calorie deficit with ingredients to speed up your metabolism. Green Tea Extract - This ingredient is known to provide brilliant appetite control, a metabolism boost, and clean energy all through the day. L- Tyrosine: This is an amino acid that the body produces naturally. It helps to reduce large appetites, and also boosts energy levels that in turn lead to weight loss. Coleus Extract: Coleus helps kindle an enzyme which helps to lose fat. My suggestion in regards to fat loss pills is to start incorporating it once you’re disciplined with your diet. Once you can lose weight by just diet alone, you can then add a fat burner to take it to the next level. Shredding (losing weight) is so simple. Just get rid of all the myths and misconceptions and know how much calories to eat a day. With that said, if you enjoyed this article please share it with someone you think may also benefit from it. If you’re notorious for snacking, then it can either make or break your body from burning fat. However, even though you snack a lot doesn't mean you can't lose weight. The key is to snack smarter. What's smarter snacking? Its knowing the total amount of calories from snacks per day and then portioning it. The problem most people have with snacking is that they either eat too much of it or they eat something that has way too many calories than their calorie intake can afford. That’s why knowing your macros and how much calories to eat per day is crucial. Once you calculate the total calories that will allow you to lose weight, you can prep any type of snack you desire (as long as it fits your calorie intake of course). Don’t know how to calculate your macros? No problem. Check out our new Ebook MACROS. In this book we walk you step by step on how you can calculate your own macros which you can then apply to smarter snacking. Click here to learn more. One amazing way to save money while eating your favorite snacks is to buy in bulk. For instance, I’ll purchase a family size bag of unsalted popcorn and portion them into small zip lock bags. 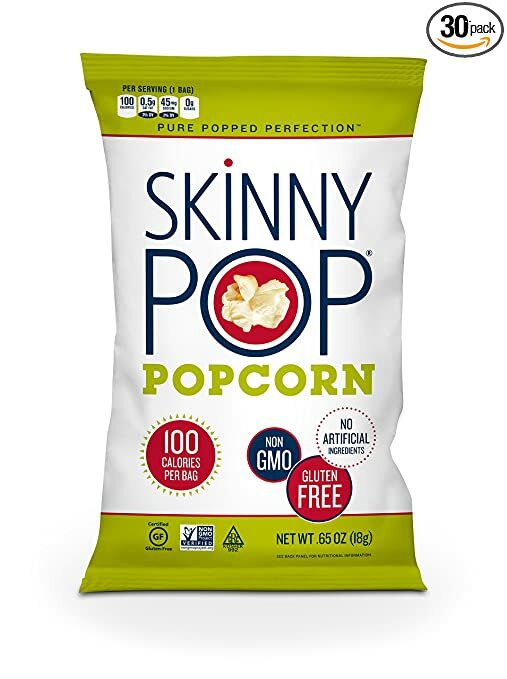 On the other hand, you can also buy pre-packaged 100 calorie popcorn bags. I personally go with SkinnyPOP. Snacking doesn’t have to always be manufactured and prepackaged. Matter of fact, my best snacks are made right at home with an air fryer. 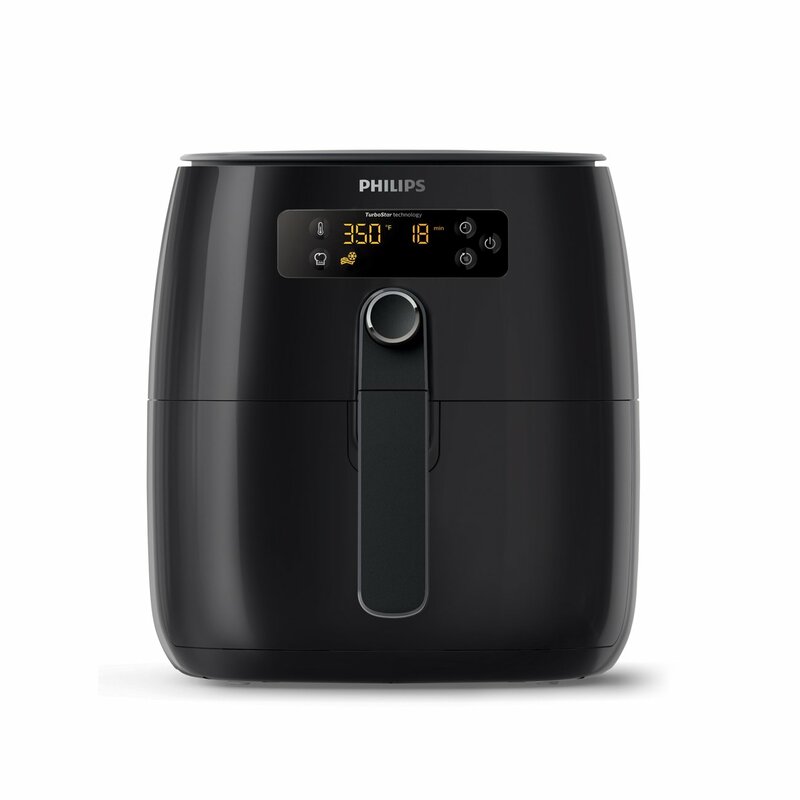 What’s an air fryer? It’s a convenient kitchen appliance that fries your food without the use of oil, it uses air. Foods come out crispy and evenly cooked when using it. The best part about it? I don’t have to worry about consuming the extra calories when cooking with oil. Another amazing feature is that it cooks foods extremely fast, which is a plus for those of us who are always on a go. What snacks have I cooked so far? Sweet Potato Fries - I typically throw the fries straight from the freezer and into the air fryer. There’s really no prepping and it cookes the fries in about 10 minutes. After the fries are done, I’ll weight them out and pre pack them into small tupperwares. A delicious snack! Mixed vegetables - Vegetables are awesome when air fried. Purchase a pack of mixed veggies and dump them straight into the fryer. For a more toasted and crispier taste, add some Pam oil spray. After its cooked, measure and pack them as you would the sweet potato fries. The list can go on and on. Meal prepping is also easier when using the air fryer as it cooks chicken breast a lot faster than you would in the oven. For those of us who have a sweet tooth, this hack may benefit you. Most times when I’m craving sweets, i’ll add flavored water drops to my water bottle. 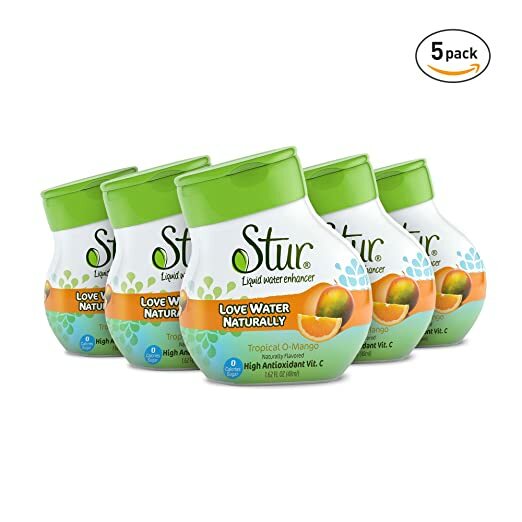 This allows me to satisfy my sweets craving and also helps with drinking your gallon of water. This one is huge. Before I became serious about fitness, I would eat snacks without reading the labels. Why is reading the labels important? Because sometimes a snack can be more than 1 serving. 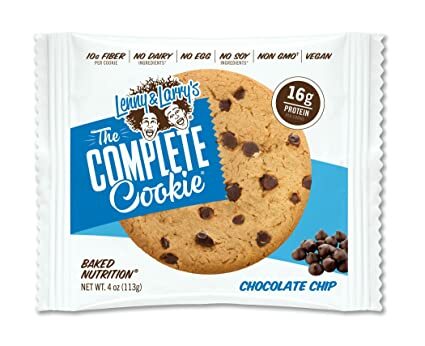 For instance, one entire Len & Larry protein cookie is 2 servings. However for those who aren't familiar with nutrition labels will eat the entire cookie thinking it’s for 1 serving. So if you unknowingly ate the whole cookie, you'll actually be eating twice the amount. So be super weary about how much macros each serving has since this could really mess up your diet. Last hack is to buy a food scale. With all the hacks already listed, it would seem mandatory to purchase one correct? You bet. Knowing how much you’re actually eating is key to losing weight. So keep a food scale conveniently placed in your kitchen, that way you’ll actually use it. 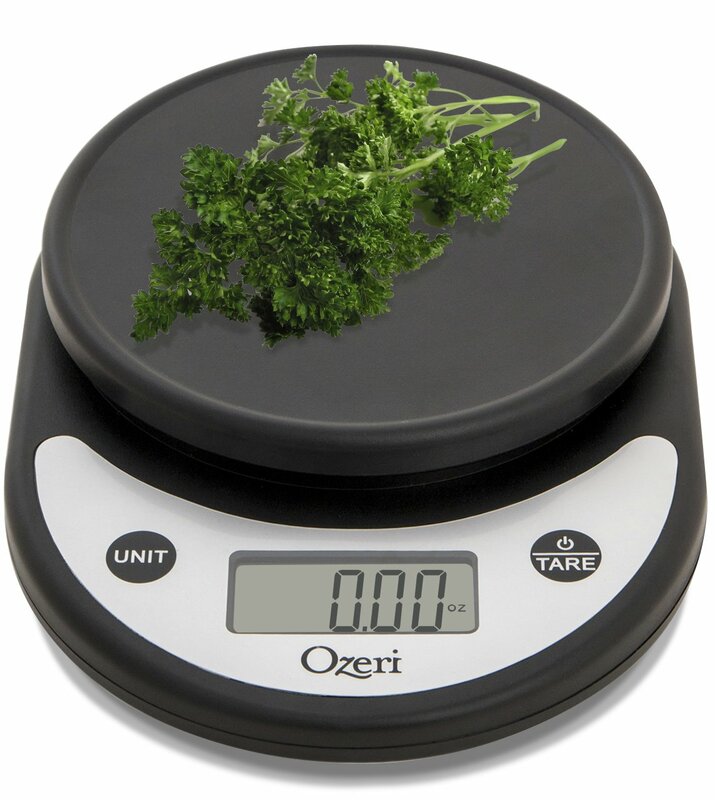 I personally use the Ozeri food scale as shown in the picture above. So there you have it, 5 snack hacks that will help you continue your weight loss goals! If you found these hacks helpful, be sure to share this article with a friend. either becomes discouraging or more so exhausting. fitness goals by applying the simple tips below. either make or break your weight loss efforts. body weight. The TDEE also takes into account your active lifestyle. The way to lose weight is to eat LESS than your total calculated TDEE. However, the huge problem most people encounter is that they don't know this number. They guesstimate until they think they've eaten enough and in most cases more than they should. week by week is how you effectively lose weight. If you want to learn how to lose weight the right way, check out our new Ebook Macros. The book will walk you step by step on how you can calculate your own TDEE and more so how to apply it to your lifestyle. Click here to learn more about Macros. advise adding an exercise routine to your program. resistance training with cardio and you have the perfect balance to burn fat. Protein: Protein is crucial when losing weight especially if you're adding resistance training to your routine. 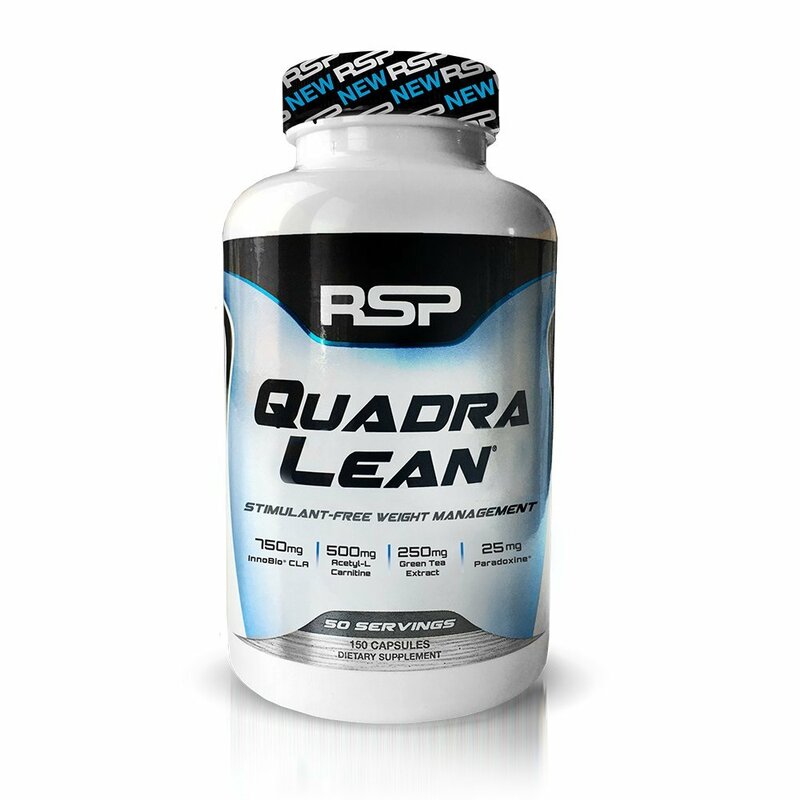 By taking a quality protein supplement you'll build lean muscle FASTER, and as I've mentioned already, more lean muscle means you'll burn more calories at rest. too much protein can make you bloated. If you would like to learn more on how BCAAs can help with weight loss, definitely check out our article 'Best BCAA For Weight Loss'. As a reminder, taking these supplements by themselves won't grant you the body you want. They're called supplements for a reason and should not replace a highly effective diet and training program. So there you have it, 4 simple tips on how you can continue to work towards becoming a better you. If you enjoyed this article, feel free to share it with family and friends by clicking the share button below. Don't have time to workout? Well I have the perfect solution. By investing 5 minutes to workout every morning, you can see benefits such as appetite control, improved metabolism, and an overall better mood. So what is this 5 minute high intensity workout like? Well it's an action gratifying fat burning satisfaction. Now whether that sounds intimidating or not, the benefits of working out for 5 minutes outweigh the negatives, if any at all. Studies have shown that by incorporating a fast paced workout, an individual will improve their overall fitness. With that said, let's now go ahead and outline the benefits in detail. Controlling your appetite is one of the most crucial aspects of losing weight. The last thing you want is uncontrolled snacking which leads to extra calories. So how does this 5 minute workout benefit appetite control? A study done by the University of Western Australia proved that when a group of overweight men performed high intensity workouts vs slow moderate workouts, they consumed fewer calories the rest of the day. How did this happen? Well a fast paced workout reduces the amount of the hormone ghrelin, the always hungry hormone. More so, short term appetite is controlled by the increase levels of lactate and blood glucose. So if snacking is your biggest enemy, you can definitely benefit from doing this 5 minute workout. How does burning more calories even after you've finished your workout? Great right? Well here's how it works. It's called excess post-exercise oxygen consumption also known as E.P.O.C. Exercise physiologist, Dr. Len Kravitz explains that oxygen consumptions and caloric expenditure remains elevated which translates as burning calories after you've finished working out. After completing a high intensity workout, our bodies can also see an improvement in insulin sensitivity. Why should you care? Well having healthy insulin levels improves ones ability to burn fat. On the other hand, diabetics have a hard time burning fat because they're insulin resistant. There's no better feeling than being in a good mood throughout the day. By incorporating a high intensity workout, you can see benefits such as reduced anxiety, depression, and an improved self-esteem. Is your schedule hectic? Well note that by doing these workouts you'll have a clearer state of mind. That means you'll get more DONE. With all the benefits listed above, there's no reason WHY you shouldn't do it. So let's get straight to it! Grab some water, turn on your favorite song, and let's work! Note that each exercise is linked to an instructional video in case you're unfamiliar with the movement. Also, attempt to do every workout fast and non-stop. Do keep in mind that you should be doing these with the correct form, so make sure you watch the instructional videos thoroughly. & YOU'RE DONE! To increase the intensity, you can do the entire routine for 2-3 more sets. But wait! Let's take this morning fat burn to the next level! The benefits of a high intensity workout is amazing, but what if we could increase the amount of calories burned throughout the day? Well you can and it's through proper fat burning supplementation. Mind you that I'm not one to rely on fat burners alone. It just won't work! However, in combination with a high intensity workout like the one above, fat burners end up working amazing! With that said, I recommend using Vintage Burn by Old School Labs. 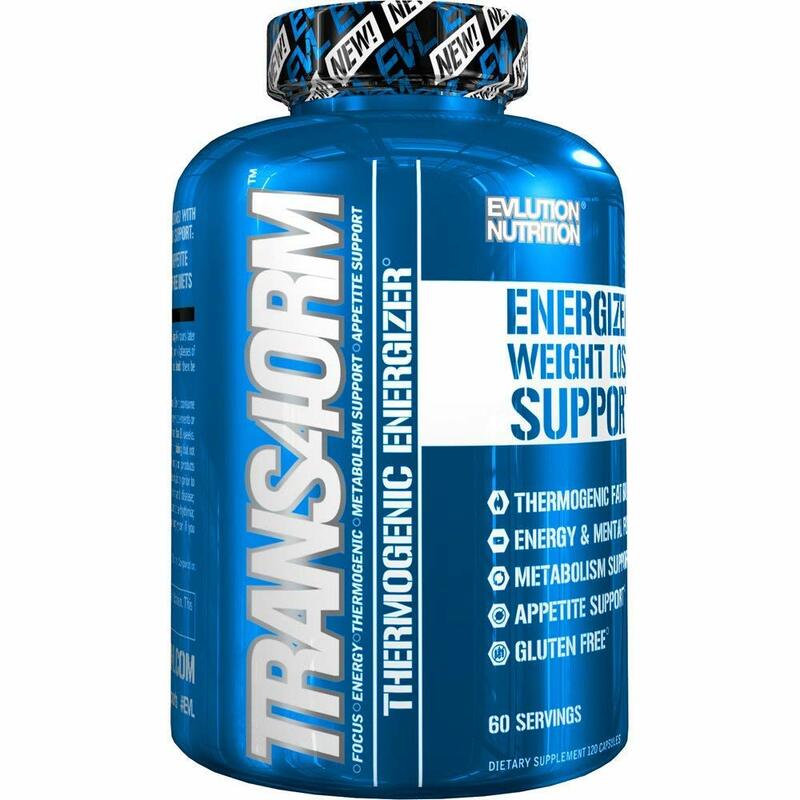 This fat burner is a thermogenic weight loss supplement that is keto friendly and is safe to use for men and women. One reason why I highly recommend this fat burner compared to others is because it's manufactured in the U.S.A and is formulated in California. Now this may not be a big deal for some, but I personally like to know that the supplements i'm consuming are locally made. Below I'll outline the benefits in detail. Vintage Burn works immediately by increasing your metabolism and inhibiting the formulation of new fat cells. This is through the ingredients green tea extract, garcinia cambogia, and raspberry ketones. One can also benefit by it's ability to curb your appetite. When you work so hard to build lean muscle, the last thing you want to do is lose it. Through diet and exercise, we're more prone to lose muscle mass. Why is this bad? Well when you have more lean muscle, you're burning more calories at rest. So if you lose lean muscle through exercise and diet, you also lose opportunities to burn more fat. Vintage burn was formulated to preserve this lean muscle and helps you continue to lose weight. Not only does Vintage Burn help with weight loss, but it can also help you function better throughout the day. Lastly, the ingredients in Vintage burn are 100% transparent. The company Old School Labs is known for adding ZERO artificial substances, ZERO synthetic additives, and ZERO preservatives. If you feel that this fat burner can work for you, you can purchase Vintage Burn on Amazon by clicking here. To explore more fat burners be sure to check out our article Top 3 Supplements To Shred Fat. So with the combination of adding a high intensity workout and a fat burning supplement, you're well on your way to burning all types of fat. With the benefits of burning fat, curbing appetite, and being in a better mood it becomes a no brainer that by incorporating this combo will help create your better version! If you've enjoyed this article and workout, be sure to subscribe to our mailing list as I send exclusive workouts and fat burning tips. Losing weight can be complicated and frustrating. It's a battle that most just give up on. However, the reality is that it doesn't have to complicated at all. By arming yourself with simple knowledge and then applying it, you'll be 1 step closer to conquering your fitness goals. In this article I discuss 2 simple ways you can lose weight in as little as 2 weeks! Whether you're a morning person or not, working out earlier is proven to put you on track with dropping weight. Studies have shown that individuals who wake up closer to noon tend to eat over 200 calories more than individuals waking up early. More so, working out in the morning burns more fat as you're in a fasted state. How is this so? Since our body utilizes carbohydrates as a primary energy source, being in a fasted state forces our body to use unwanted fat stores instead. So what are you waiting for? Skip the snooze button and go workout! If you're in love with seafood, then you'll also love this tip. Eating more fish in your diet allows your body to consume more omega-3 fatty acids. What does this do? Studies have shown that individuals with higher omega-3 fatty acids have a higher rate of keeping unwanted weight..off. According to the International Journal of Obesity, one study demonstrated that men who ate 5 ounces of salmon lost 2 pounds more compared to men who didn't have fish in their diet. Not only do you keep off unwanted weight, fish by itself is naturally leaner than eating chicken or beef. I’m going to be brutally honest about this answer because I feel like a lot of individuals use excuses. First off there’s science behind why it may be hard for adults to lose weight. As we continue to age, our metabolism will slow down by 5 percent every decade after 40. If you don’t know what metabolism is, it’s your bodies ability to convert fat into energy. Without an efficient metabolism, we’ll store fat faster than what our bodies can naturally burn by itself. Now there may be more science behind this, such as health issues and being injury prone.. But metabolism is one of the MAJOR KEY factors that affects adults from burning fat. Now here’s where it gets brutal.. MOST adults, note that I didn’t mention ALL..
Or put enough effort when working out. How many of you are exhausted at the end of your work shift? Or how many of you feel like you just don’t have time to learn HOW to workout. There might be quite a few of you.. I know work hours can be long and frustrating.. But if losing belly fat or building muscle is extremely important to you, you’ll make time for it. There’s so much resources on the internet now a days, it’s almost impossible to not learn something new. For instance, by checking out our magazine daily you'll gain knowledge on how you can stay on track with your weight loss journey. Spend 10–15 minutes learning something new and you’ll be at less risk for injury and most importantly, excuses. Being older doesn’t mean you have to eat bad. And the difference between them and a person with a belly gut?